I had children for the same reason I got married—I wanted someone to share my life with. However, that does not mean I want to spend every waking moment with them. It’s a somewhat harsh truth, but I’m honest and not afraid to share this sentiment with my family. I’m an extreme introvert, and that means that every day I need some quiet head space to process world, local, and family issues. Too much crowding means I start down a dark path of grump. Everyone in the family suffers. Last month I reviewed a meditation app to help me keep my chill. My eldest was still in school at the time. Now that we are on summer break, not only do I have to adjust to the expectations of being a constant entertainer, but they also have to adjust to spending more time with each other. I’m going to need more than a couple of minutes of meditation to see my through to the other side. Say My Name One More Time. The biggest issue I’m having with my kids right now is their ability to make an argument out of anything. Almost all siblings argue. I understand and accept this, but it doesn’t mean I have to like it. It also doesn’t mean I have to resort to certain measures like creating charts, share shirts, or putting noses in the corner. 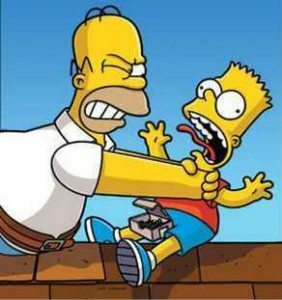 Those parenting hacks work great for some moms, but for me it adds more stress. I’m definitely not a parenting expert, as I may have mentioned in more than one of these Mom’N’Pop articles. Most times all I have to offer is practical advice that works in my situation. For this month, I’m going to focus on a practical, parenting truth I have found that works with my kids. If I take the time to get on their level, together or individually, with true focused engagement, then they will be more satisfied with our time together and leave me the heck alone after we’re done. And the bickering between them also stops. The key to this is engaging with what they love without wanting to claw my eyes out with a rusty spoon. This summer, there are two main purchases that are saving my sanity. I’ll start with my eldest kid. Her two true loves in life are Minecraft and watching Mineflix on the iPad. No matter how much effort I put into Minecraft, I just don’t enjoy it. Not even the new Minecraft Story Mode. I’ve played both, and my daughter can tell I’m half listening and thinking about other things. Like laundry. The same with my daughter when I tried to teach her Go Fish and the card game War. I enjoy playing cards. She loses interest in them quickly. How do I bridge our generational gap? 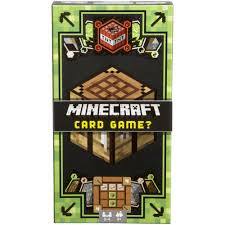 With a little searching I found the Minecraft Card Game. In this game, my daughter can relate to the terms and images she’s already familiar with, and I don’t have to touch a controller. It’s a win/win, and it reinforces the fact that I do care about her interests. 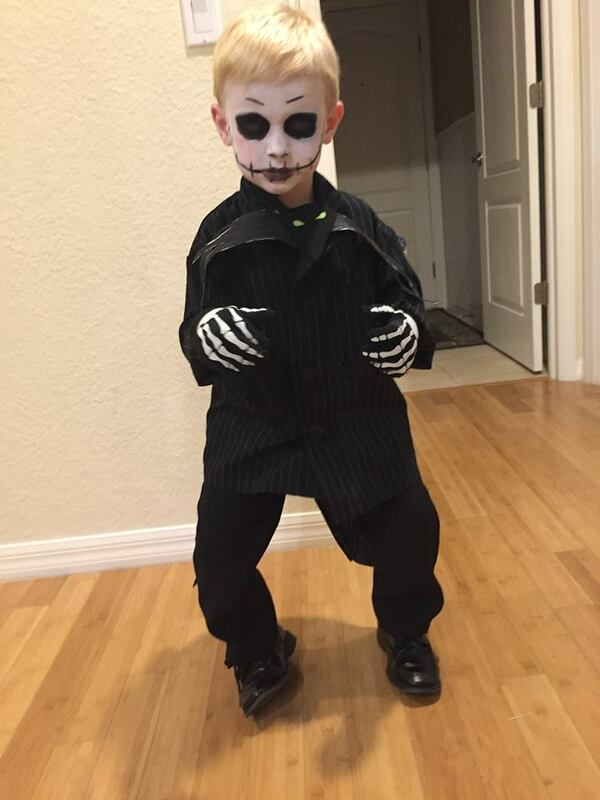 Gratuitous pic of my little dude as Jack Skellington. The littlest kid is easier. 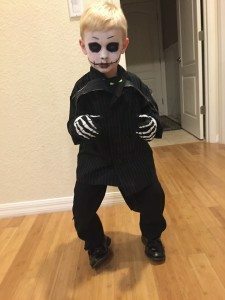 He has many interests, ranging from dressing up as Jack Skellington to playing with his Spider Man figurines. The range of interests gives me a little more wiggle room, but I still don’t have the patience to face paint every other day. Also, my daughter and I are running low on story ideas to make playing with his figurines interesting. It’s easy to sit on the floor while playing and have my smart phone next to me to check emails and social media during the 100th time Spider Man has fought Rhino. He notices the distraction, and it’s not fair to him. To give him my full attention, we have to dive into something creative. For that we go to the old school (and inexpensive) favorite of Play-Doh. While most Play-Doh commercials still center on fake ice cream or hair cutting, if you go into the store and search the aisles, you’ll find a pop-culture geek’s dream. There are Star Wars, Marvel Super Heroes, and Teenage Mutant Ninja Turtles playsets. The Millennium Falcon set comes with can heads of Luke, Leia, Han, and Chewie. You can make Leia’s head buns out of the brown Play-Doh. The Turtles set comes with little weapons to pose in their Play-Doh hands. Our favorite Marvel character is Play-Doh Smashdown Hulk, because if you push his angry can head, his fists smash. Parenting is a lifetime of trial and error. I want my kids to be happy when I’m engaging with them, and I want them to know they need to play independently (and squabble free) when I need my space. Finding that healthy balance is my summer goal, and if I can stick to my practical, parenting truth, I might just see it happen. Happy Summer!